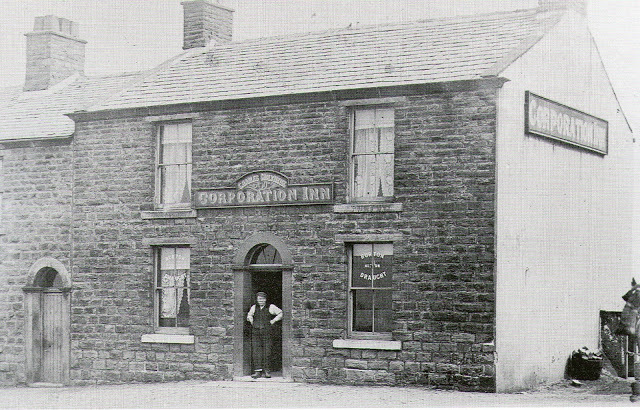 The Corporation Inn was first opened in 1857, which was the year Rivington Reservoir first provided water to Liverpool and was during a time of much development in the area. 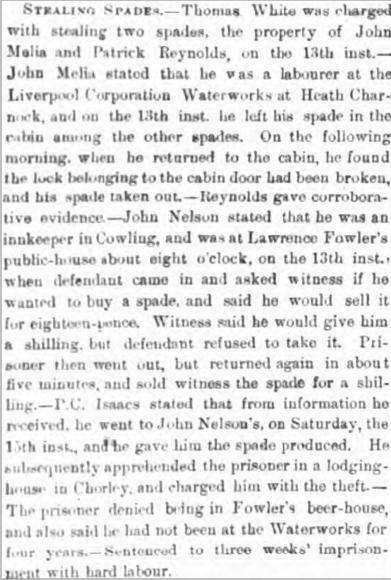 There is no doubt that it was strongly linked to the Liverpool Corporation Waterworks who were charged with building Rivington Reservoir following an Act of Parliament in 1847 and the press cutting below from 1892 confirms this link when advertising for "rubble wallers". 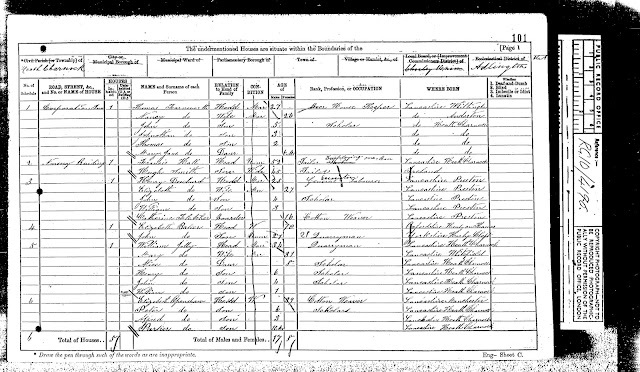 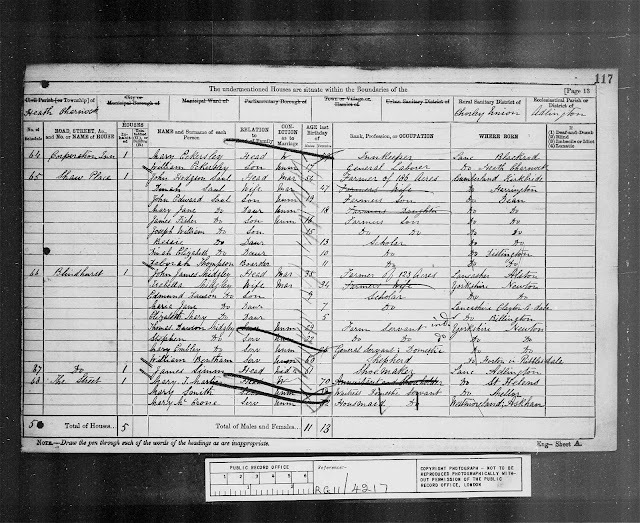 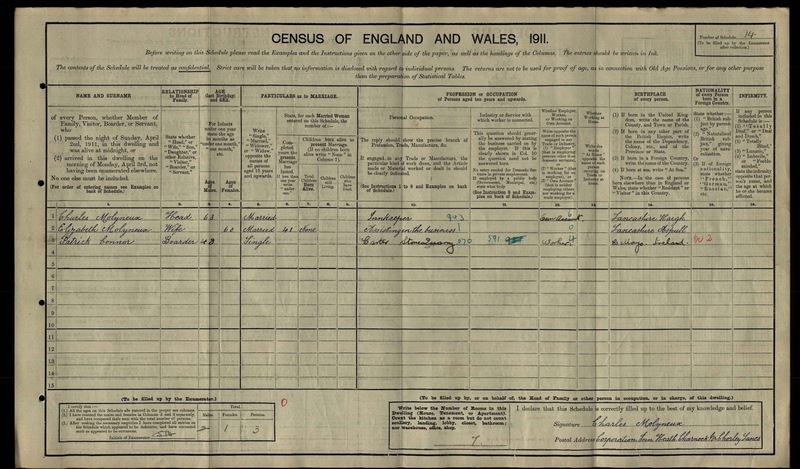 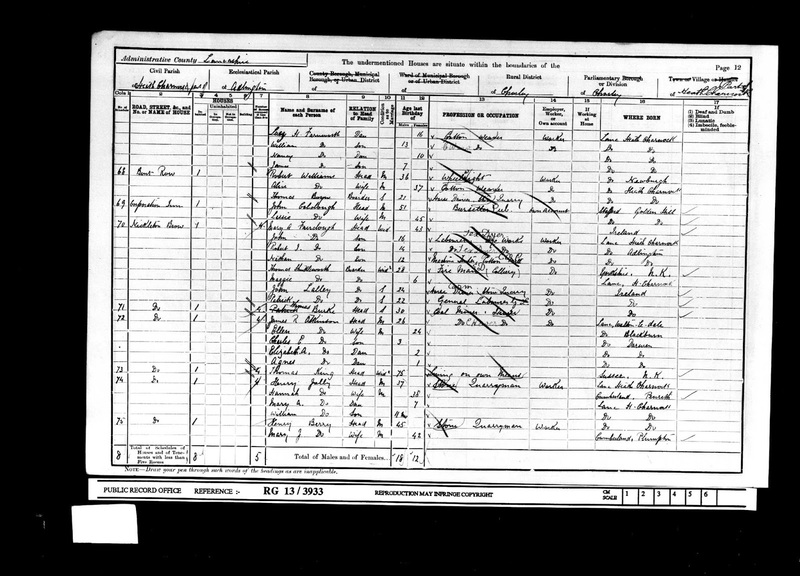 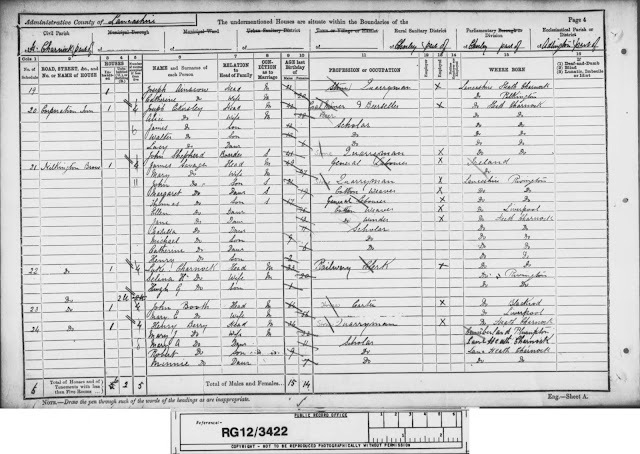 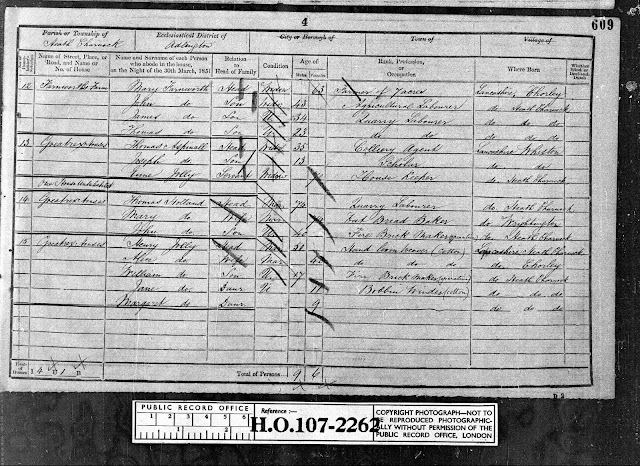 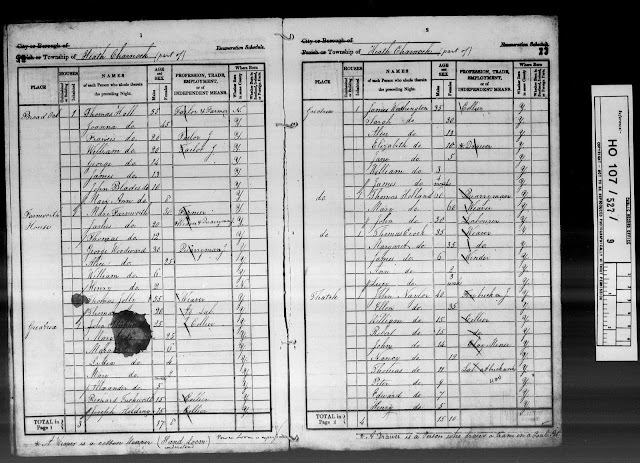 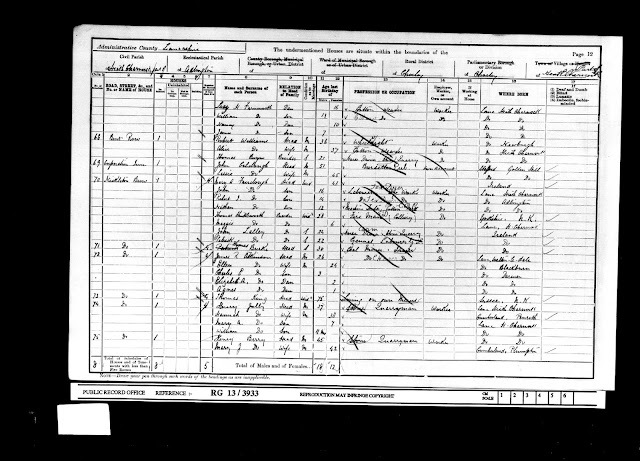 Prior to 1857 the property was a working farm run by the Farnworth family as the census records below show. 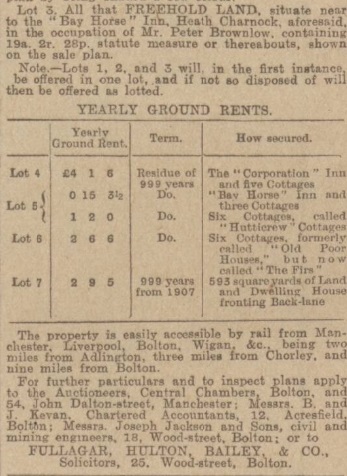 The property was located on the corner of Long Lane and Nick Hilton's Lane, which ran from the junction northwards to the foot of Anglezarke reservoir and Dill Cottage, which is now the Yew Tree Inn. 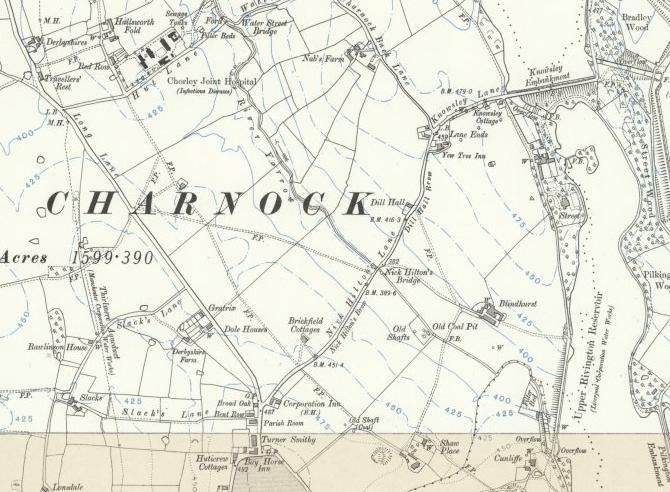 Following the M61 development in 1969 Nick Hilton's Lane was dissected not far from the Corporation and has since been known as Nickleton Brow, which is only a short cul-de-sac. Listed landlords of the Inn were Thomas Farnworth (1857-61), Mary Eckersley (1881), Joseph Eckersley (1891), John Colclough (1901-04) and finally Charles Molyneux (1904-19). 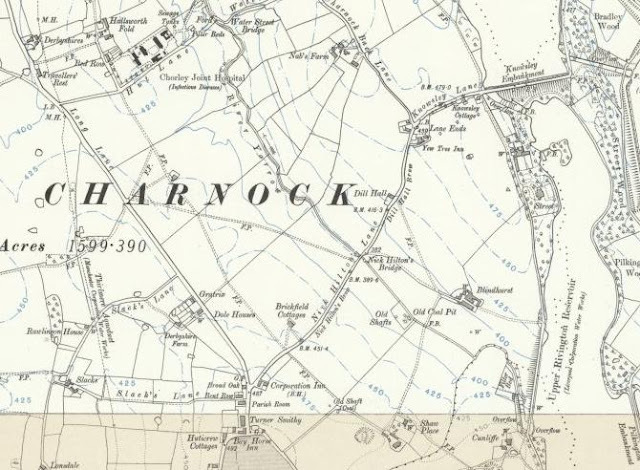 The development of the Heath Charnock and Rivington areas by the Corporation is detailed in the Lancashire Telegraph article from 2002 below. 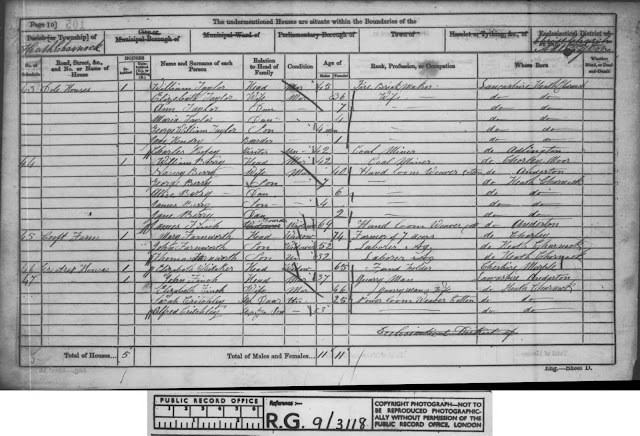 Further more detailed information on the Corporation Inn can be found on the following link from the Adlington & District History blog by Kimberley Moss. (1) Every application for a wholesale licence or an importers licence shall be made to the Treasurer in writing and shall set forth the place of residence of the applicant, and in case of a wholesale licence shall state the situation and description of the premises in respect of which the licence is applied for. 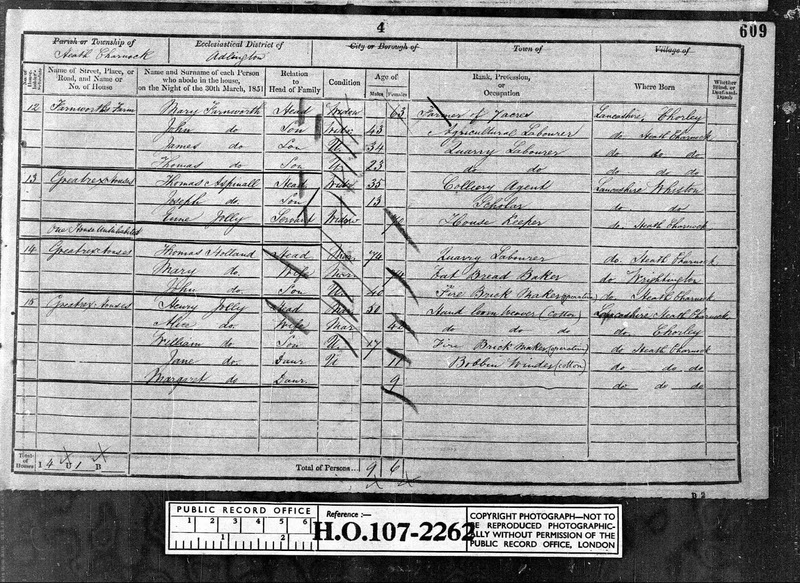 (2) The Treasurer shall refer any such application to the Commissioner of Police who shall thereupon satisfy himself that the applicant is a fit and proper person to be the holder of the licence for which he has applied: that the premises mentioned in the application are suitable for the purpose: and that the granting of a licence in respect of premises in the locality where the premises mentioned in the application are situated is warranted by the requirements of the residents in such locality and shall report to the Treasurer thereon.